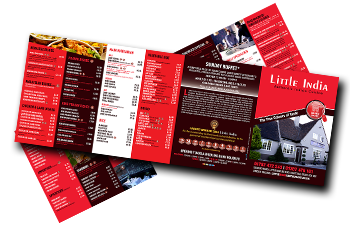 Menus are often the first point of contact for your businesses. 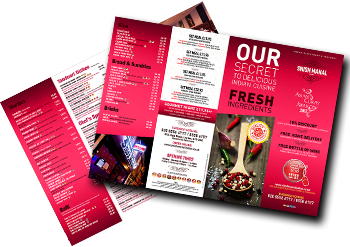 They can be made to say everything anyone needs to know about your company, so it’s important to get it right. 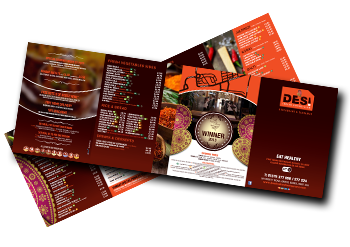 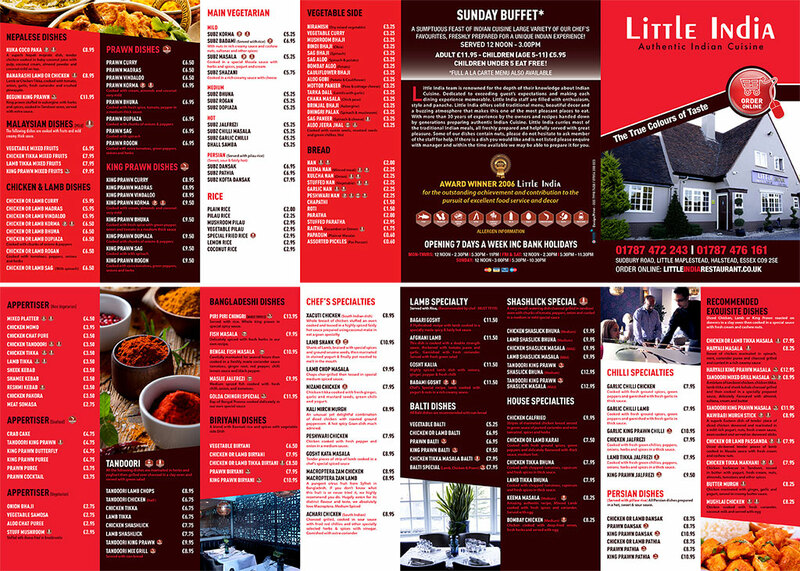 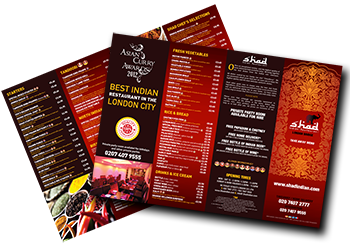 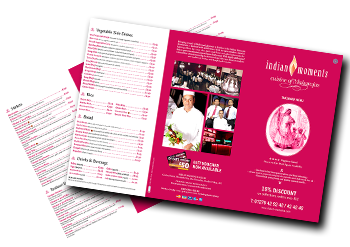 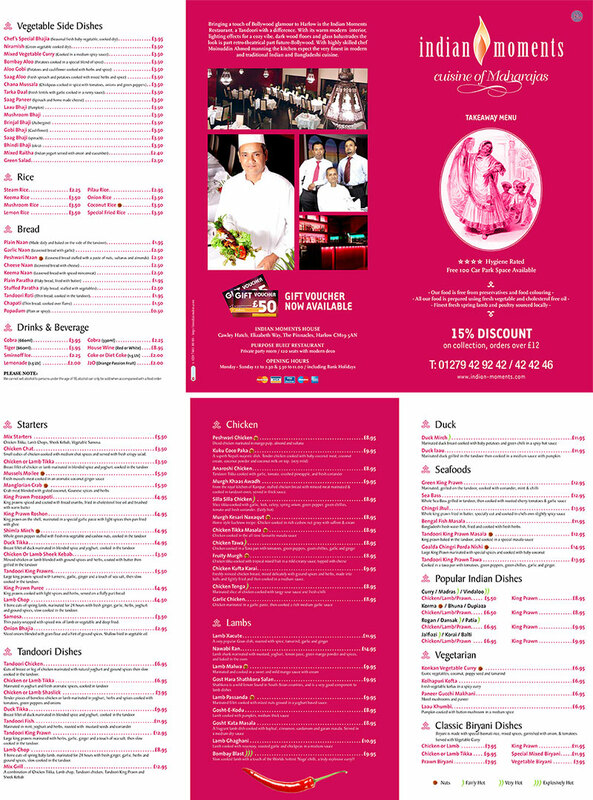 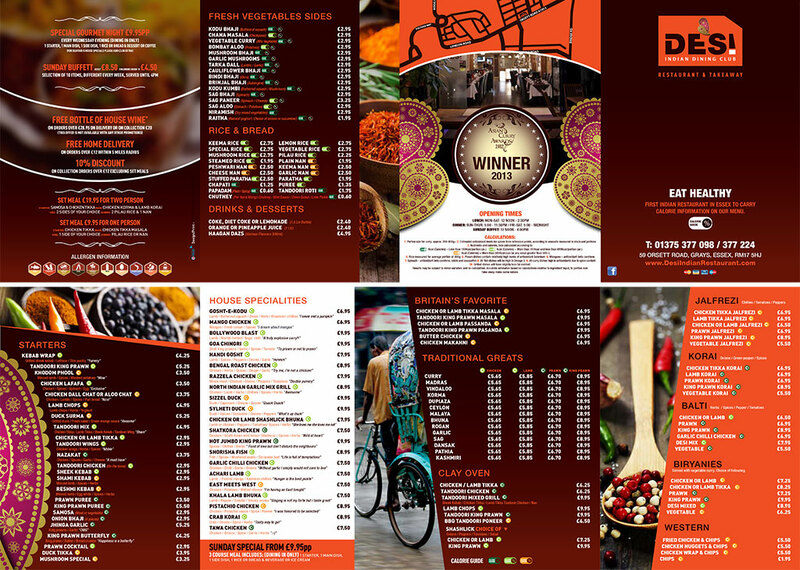 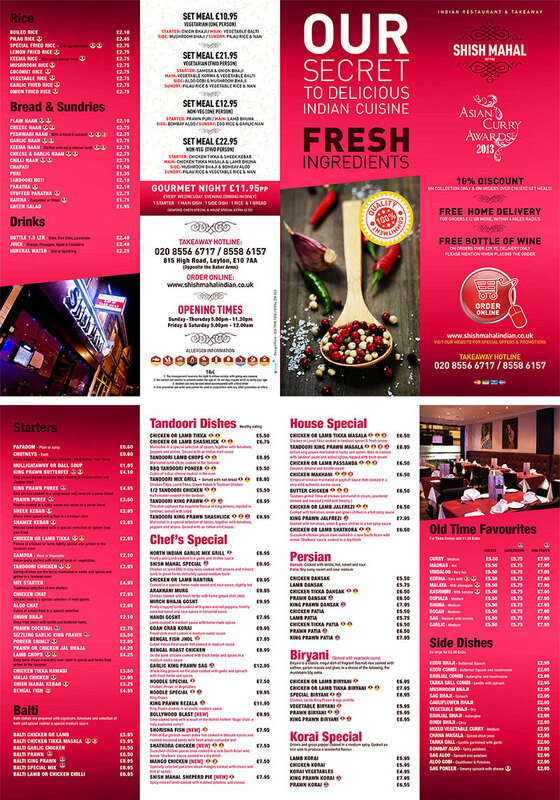 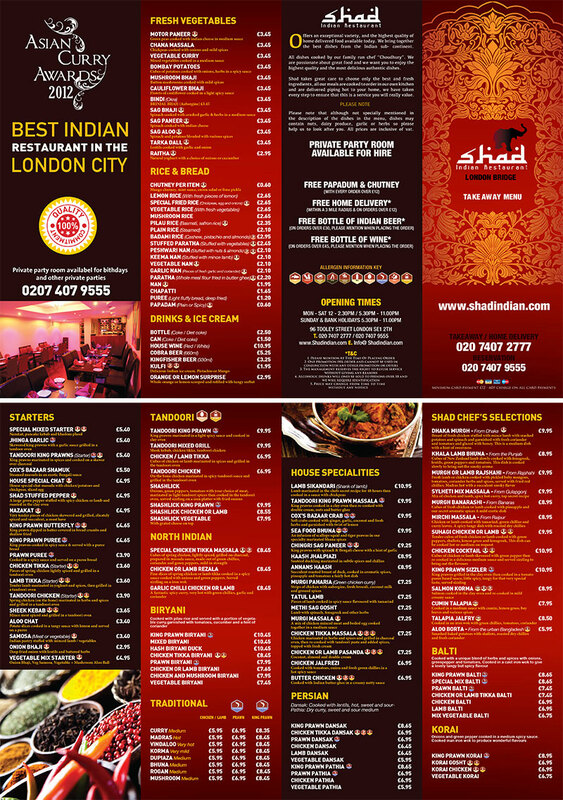 All our menus are printed in full colour and are available in a range of sizes, from A5 to A3. 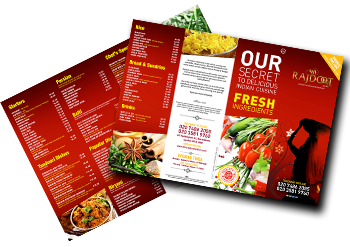 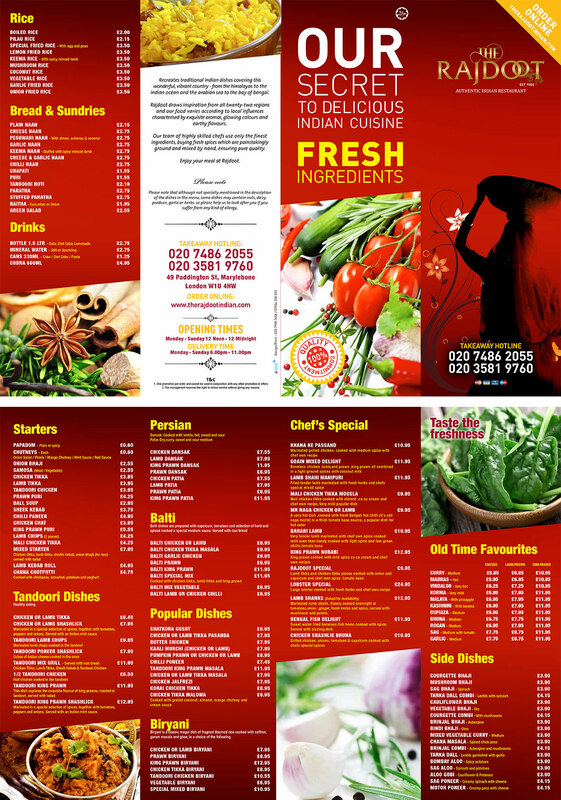 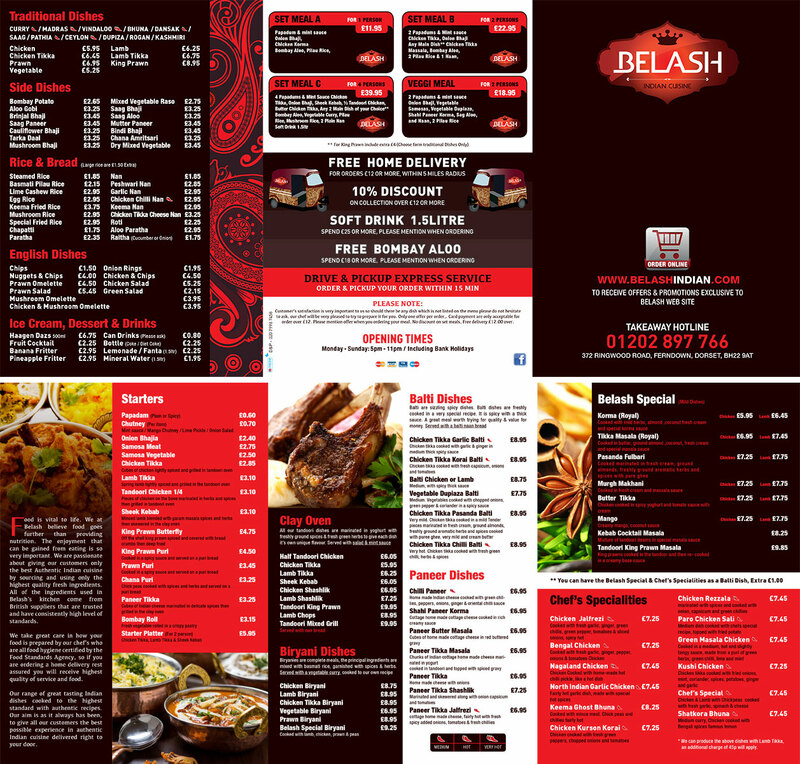 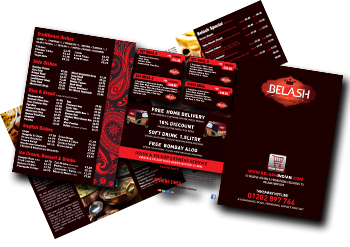 We can print such things as takeaway-menus, promotional newsletters and more, all on either bond, silk or gloss paper.